Air Fryer Roasted Brussels Sprouts~ Delicious, crispy-on-the-outside, tender-on-the-inside air fryer Brussels sprouts. I love Brussels Sprouts and am so excited to share this recipe with you! I have been following Stephanie, from CopyKat.com for years online and we have become friends. Today she is co-hosting for me while I travel around the country. 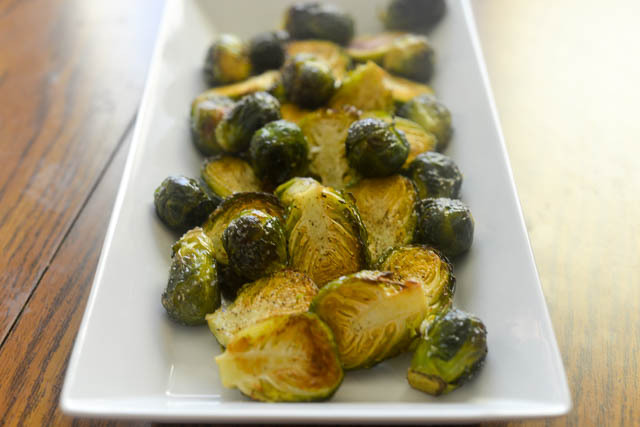 She has created this delicious Air Fryer Roasted Brussels Sprouts recipe for you!For over 20 years, Stephanie Manley has been creating copycat recipes for your favorite restaurant dishes. She helps you recreate your favorite restaurant dishes at home with easy recipes and ingredients you can find in your local grocery store. Please join my fun group Moore or less Cooking Facebook Group! 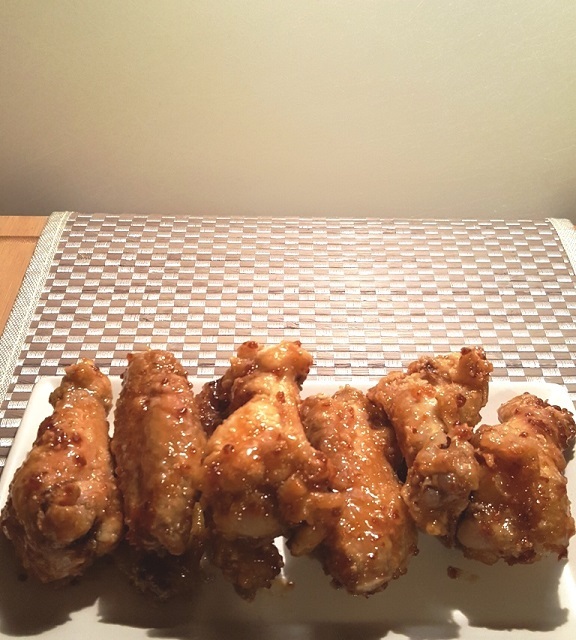 Stephanie’s recommendation is the Phillips Air Fryer ~ Philips TurboStar Airfryer, The Original Airfryer with Bonus 150+ Recipe Cookbook, Fry Healthy with 75% Less Fat. [Industry Leading Dynamic AirFlow Technology]FrenchMay Air Fryer features Dynamic AirFlow Technology, the leading Air frying technology rapidly circulates hot air and provides uniform cooking. The rapid hot air circulation cooking system combines the fast and precise of air flow to make your French Fries crispy and looks great. 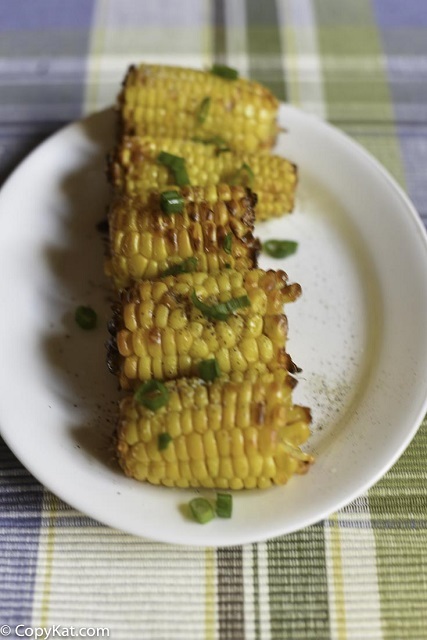 I have roasted corn in my air fryer, have also made baked potatoes in there. Recently I tried making Brussels sprouts in my air fryer. 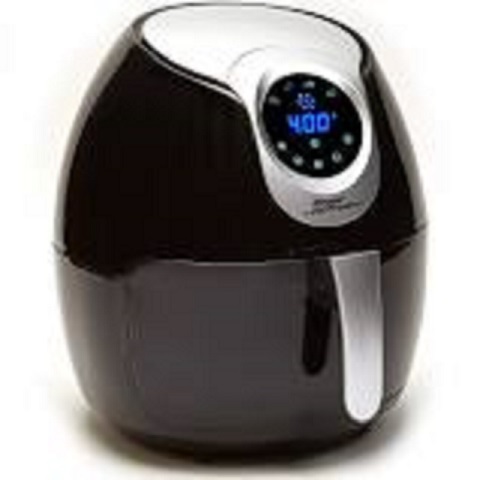 If you don’t know what an air fryer is, it is basically a small convection oven. It “air fries” food by the hot air rapidly circulating over the food. These are very common in foreign countries. In Japan many people have them. I have been using mine for about a year now, and I love it. You can basically use it to bake, or even air-fry in small quantities. They can keep you from heating up the house too much during the summer, and they are very energy efficient. Air Fryers are super easy to use. Keep in mind you can use them in more ways can just reheating your favorite treats from the freezer. Roasted vegetables are a perfect food to cook in the air fryer. I have a basic technique to roast vegetables in the air fryer, I wash them, peel if necessary, and then I coat them in olive oil, and add salt and pepper. This seems to work very well. You can use your air fryer for so many different ways to prepare food. Most people are aware that air fryers are great for making French fries, heating up pizzas, and so much more. Did you know you can actually cook in your air fryer? Delicious, crispy-on-the-outside, tender-on-the-inside air fryer Brussels sprouts. Wash Brussels sprouts and pat dry. If the sprouts are larger cut them in half. Place Brussels sprouts into a bowl. Stir to make sure the Brussels sprouts are fully coated. Place the Brussels sprouts in the basket. 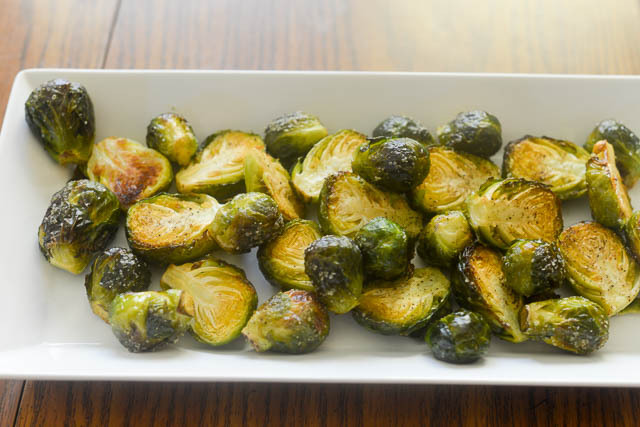 Cook for 15 to 18 minutes or until the Brussels sprouts soften and begin to brown. Preheat the air fryer to 390 degrees. Wash Brussels sprouts and pat dry. Remove any loose leaves. basket. Season with salt and pepper. These look amazing! Love brussel sprouts!! 🙂 I can definitely see an air fryer purchase in my future!! Love my air fryer & love Brussels sprouts. Thanks for the recipe!